In other news, the Adventure Cycling Association is giving away 100 free memberships to Bicycle Touring Pro readers. As of this writing, the first 25+ memberships have already been claimed. If you live in the United States and you’d like to receive a free membership (a $40 USD value), just click here. Finally, today is the last day to get “The Bicycle Traveler’s Blueprint” for 20% off it’s normal price. “The Bicycle Traveler’s Blueprint” is my eBook on modern bicycle touring. It covers all the information I wish I had known when I first started traveling with my bike. Click here to get your discounted copy. 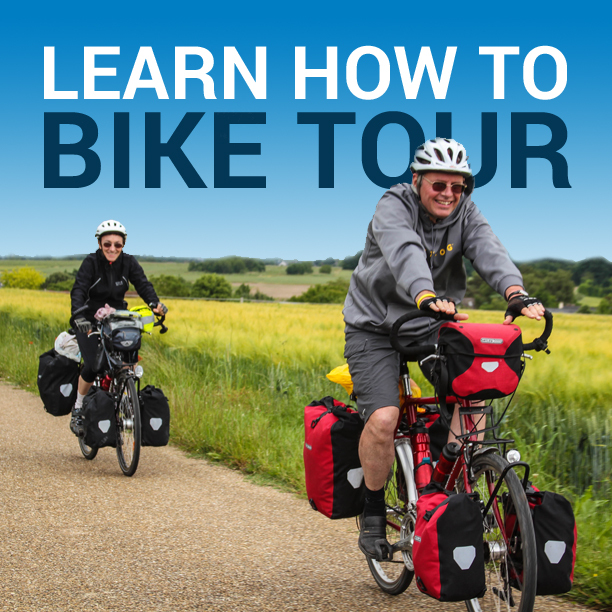 This entry was posted in Bicycle Touring Pro - Webinars, Bicycle Touring Pro Articles, Locations, Main Articles, Missouri, North America, United States, Videos and tagged adventure cycling, bicycle touring, Books, broadcast, free memberships, katy trail, live video, q and a, questions and answers, race across america, RAM, recommended reading, the lost cyclists, ustream, ustream show. enjoyed your talk.I am an older Retired Guy and new to touring(72) but in decend physical shape.How can you find other fellows interested in touring on a Bicycle . Thank You D.A. for, the encouragement and your advice! I plan on riding the Katy later this month and this website below is an awesome resource! It includes mileages, places to stay, places of interest, places to eat…..everything! There is also a link to purchase books on the Katy too. Per the books that you recently read, I followed your advice from a previous post and just completed and thoroughly enjoyed David Lamb’s book, his mid-1990 trek across the U.S. It was much more readable than the plethora of stream-of-consciousness Web blogs. They each have their place. I am returning to your previous post to try another book in your list. Thank for the advice. 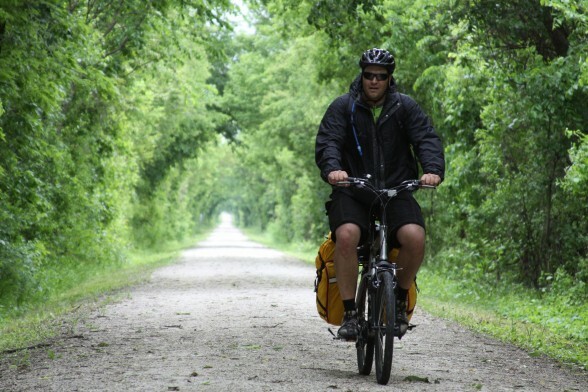 I would very much like to do the Katy Trail.. I’m 73 and do a lot of riding (BRAG,3 centuries a year).. Have mountain bike, hybrid and a road bike.. My problem is that I live in South Ga. and no body to ride with on these trips.. I’ve the time to do these rides.. Having done numerous trail rides solo is more fun when someone is alone..